The picture below is of a dump truck that operates on the Pennsyvania Turnpike. 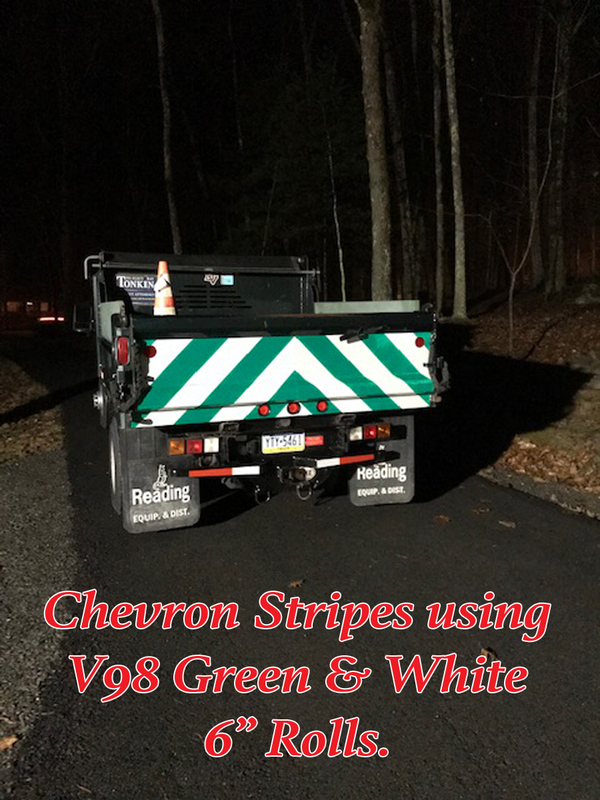 The fluorescent lime and red stripes were created for a fleet of trucks using 6″ x 150 foot rolls of Reflexite V98 material. We have that material at this link. To do a design like this you simply draw a line up and down at dead center and then use that as your guide. Stripes go on out and down at 45 degree angles. Whatever scrap you have can be used on the next truck. The pictures below are full edge to edge chevrons made using individual 6″ rolls. 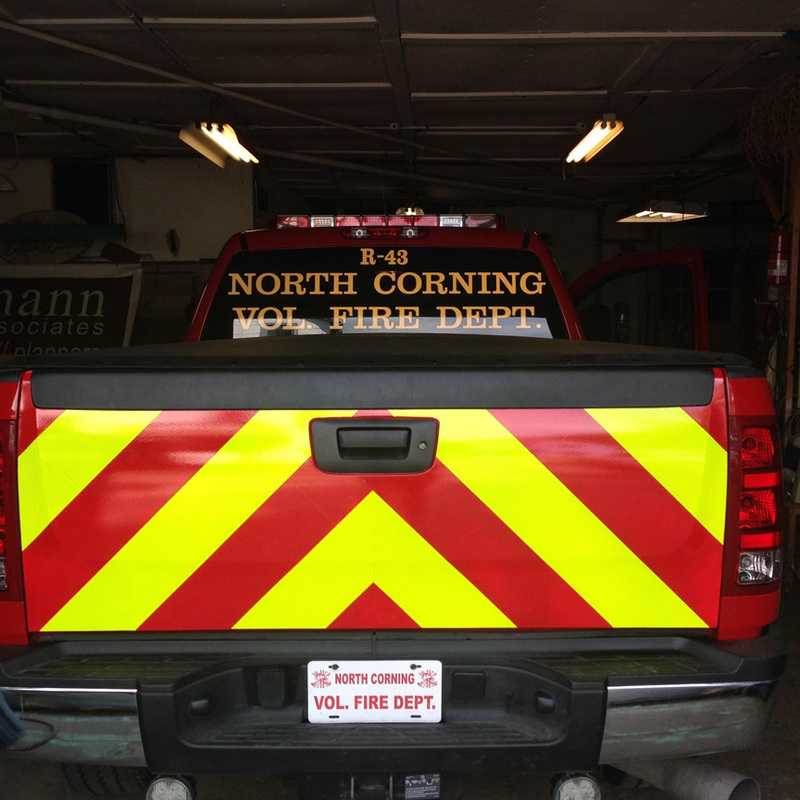 To create this design you would buy a 6″ x 30 foot roll of fluorescent lime and a 6″ x 30 foot roll of red. (V98 Material) Note – green, orange, blue, yellow also available. 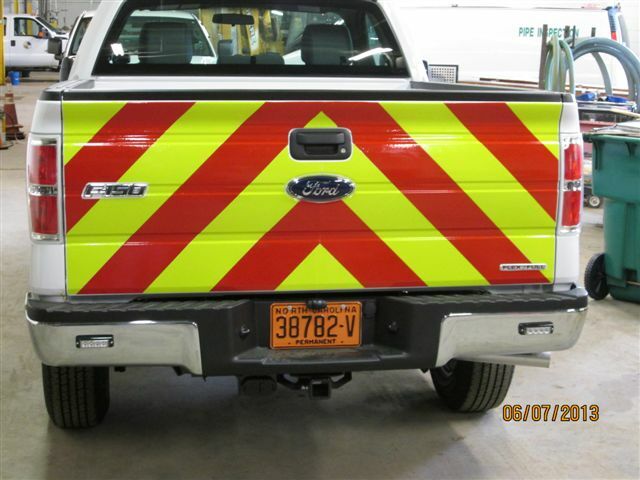 Then you would draw a line dead center from top to bottom on the tailgate. Place a triangle of material dead center and press it on well. Then you simply cut and trim alternating color pieces and work you way out. Trim any overhang and make sure everything is pressed on very well and you are done. We have the 6 x 30 rolls of V98 at this link.